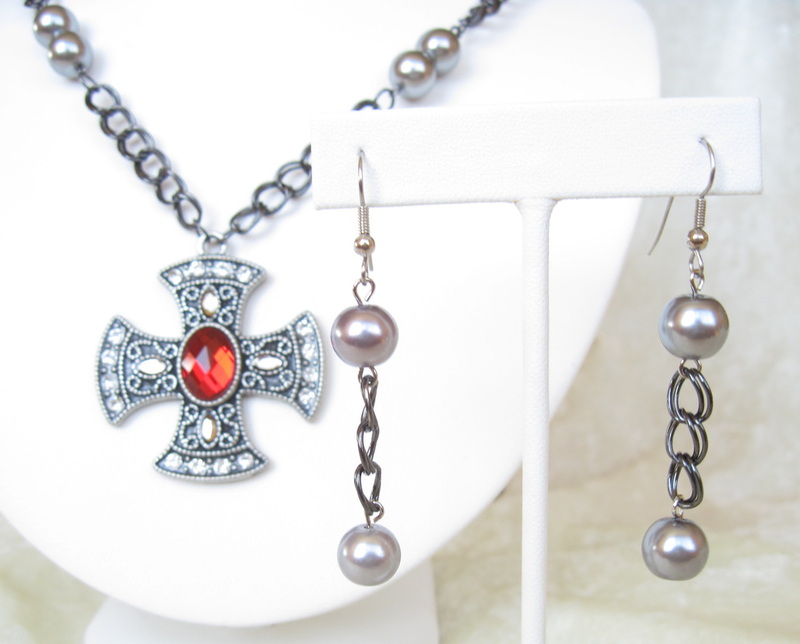 Austere and beautiful, this necklace and earring set conveys the look and feel of medieval times: religion was part of daily life, and noble women carried its symbols proudly and with great flair. 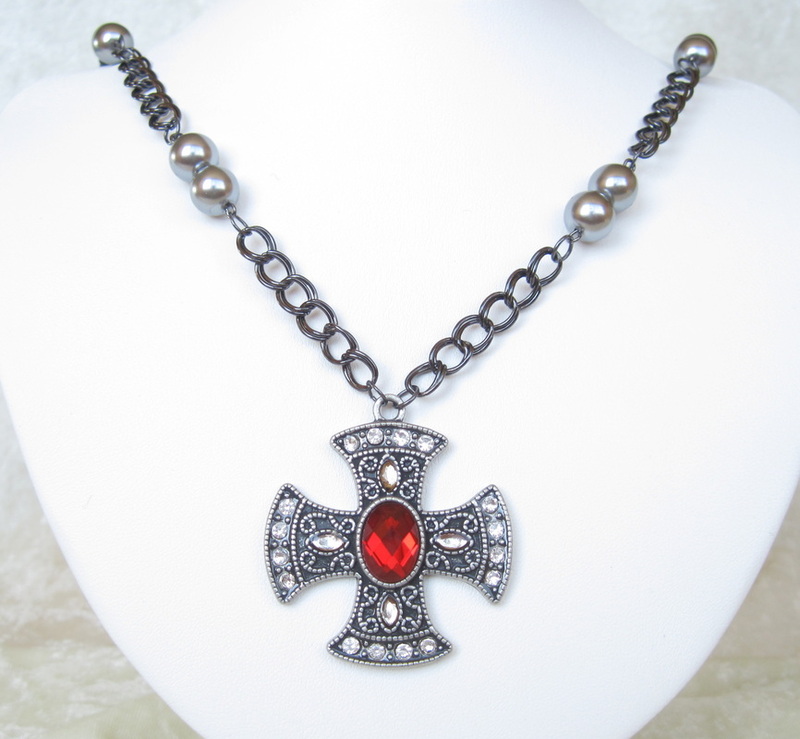 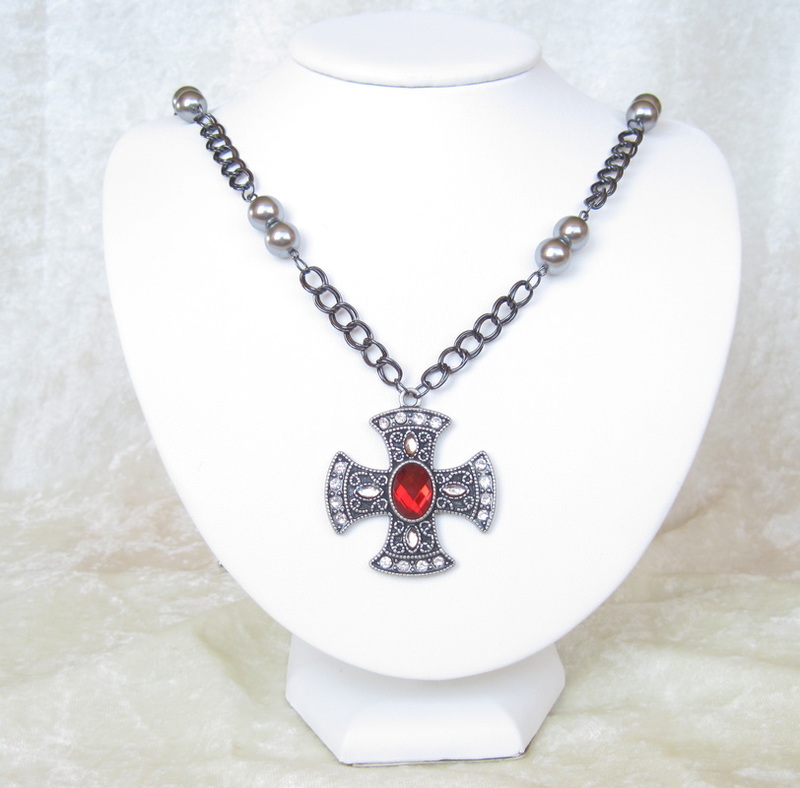 Lustrous, pewter colored glass pearls stud the black double link chain, while an extra large cross, decorated with clear and ruby red rhinestones, is the focal point. The necklace is 20" long, the cross adds 2". The matched earrings swing gaily at 1 1/2" in length. 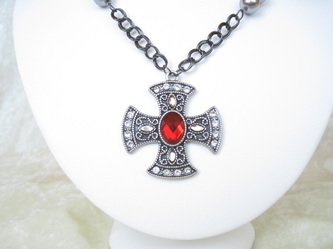 I've treated the metals with my own process to prevent fading or tarnishing so you can enjoy this set for a long time to come!